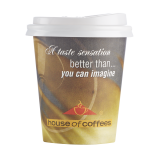 Enjoy the smooth taste of Five Roses Ceylon blend black tea in a ready-to-go takeaway cup that comes with all the extras: one tea envelope, sugar, tea whitener and a stir stick together with a sip lid. Just add hot water, stir and enjoy. Convenient for both in the office or while on-the-go. 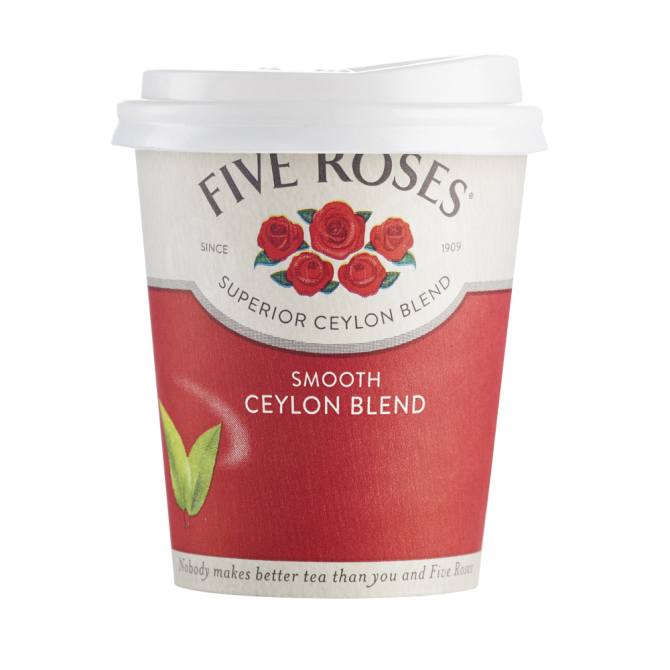 This clever takeaway cup gives you all the benefits of a rich and smooth Five Roses Ceylon blend black tea to enjoy anytime. 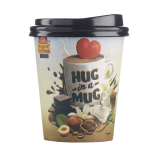 Convenient for both in the office or while on-the-go, you only need to steep the tea bag in hot water, place the sip lid on the cup and enjoy. 50 sealed packs available per box. • 1 x sip lid.